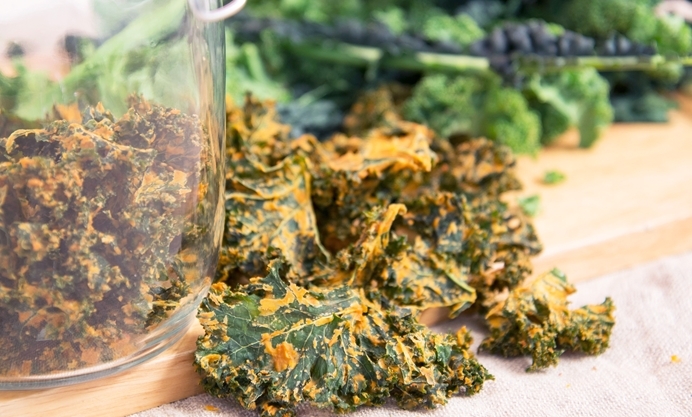 Kale crisps are becoming increasingly popular to buy but they are very easy to make. They can be a delicious snack if you are looking to avoid traditional potato crisps and are a guilt free yet munchy addition to lunch boxes. I make no secret of the fact that I practically live on kale in many guises. It is packed with nutrients but I appreciate that not everyone is a fan of this cruciferous veg. 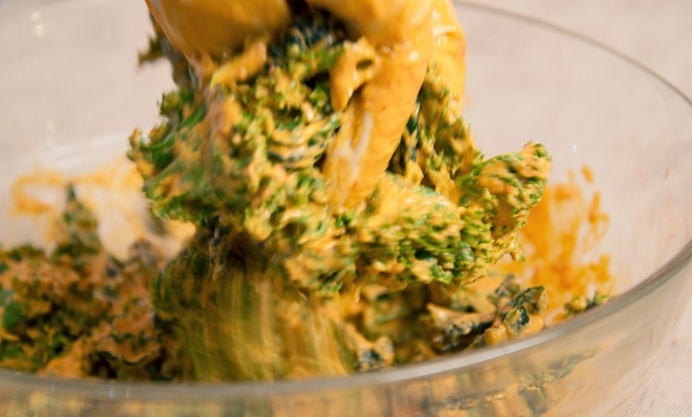 This is a recipe where kale really gets on its party frock and comes out to play. The majority of the food I make is classed as ‘raw’ because it is not heated above 115 degrees F or 42 degrees C. Above this temperature, food starts to lose its nutritional value and changes its chemical state. To achieve the consistency of cooked foods but still keeping them raw, I use an Excalibur 9 tray dehydrator which works by gently blowing warm air over the food to remove the moisture content. It’s a kind of gentle cooking if you like, with all of the nutrients left in. If you don’t have a dehydrator, an oven will also work well but you will be cooking out some of the nutrition. That said, it is better to make them in the oven rather than not to make them at all. This recipe uses nutritional yeast which adds a kind of cheesiness to the crisps without adding any dairy. Nutritional yeast is an inactive yeast. 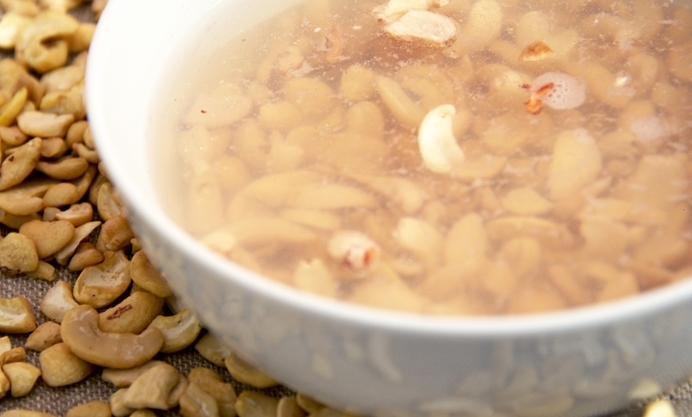 It is rich in B-vitamins, folic acid, selenium, zinc, and protein. I buy the one which has added B12 as B12 is hard to find in a pure plant based diet. Nutritional yeast is grown on molasses then dried to deactivate it so it doesn’t react like baking yeast or brewer’s yeast (which is different to nutritional yeast). 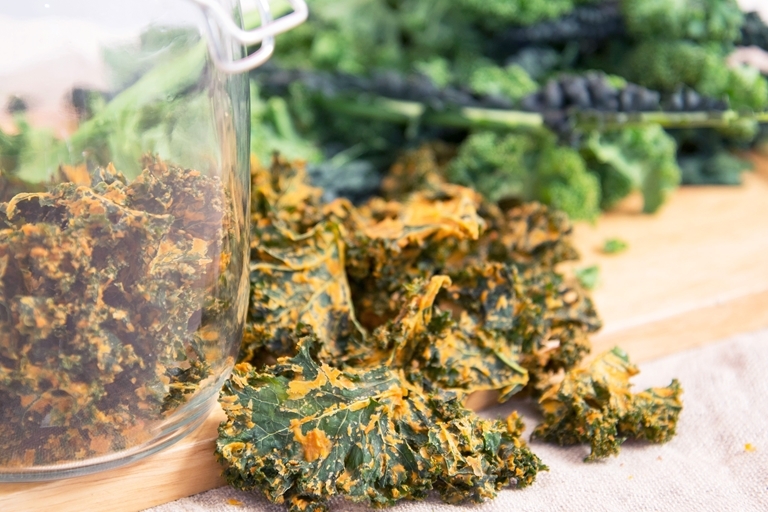 If you wanted a less spicy kale crisp, decrease the amount of chipotle to just a pinch, or you can leave it out completely. This recipe is suitable for those on a gluten free, plant based or vegan diet or following a paleo lifestyle.